Come Camp at the Abandoned Zoo! 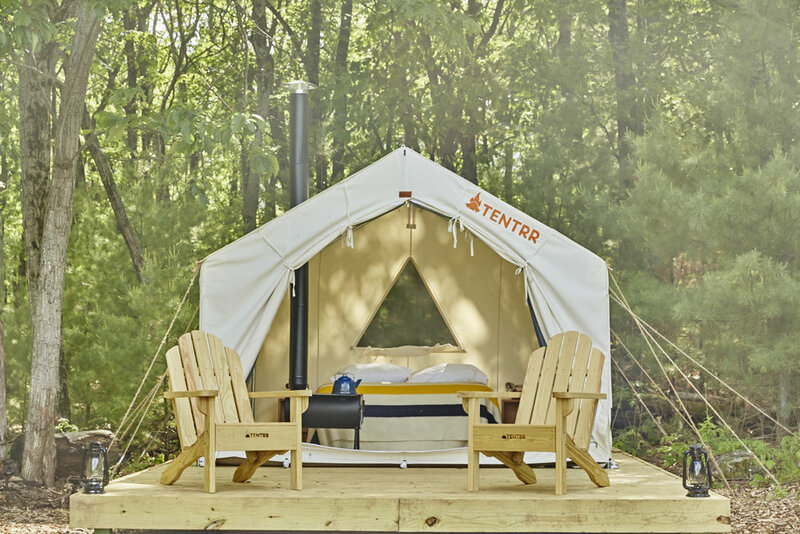 Tentrr is an online marketplace (similar to Air B&B) that connects local landowners with anyone seeking to explore the great outdoors (or in this case - an abandoned zoo!). It includes the most crucial and basic of needs: the perfect site, and the actual equipment with which to set up camp. Through their booking system you can book either of our sites for your overnight experience! The tent locations are tucked into hundreds of acres of uninhabited land giving you the perfect get away on a truly unique property. While staying at our campsites you will have access to the Abandoned Zoo during daylight-hours throughout your stay! Our Overlook Site is set on top of a high area in the park which over looks a beautiful open area where you will often see wildlife strolling through. This is a great site for large groups or for families who would like to play outdoor games. There is a significant amount of open space. 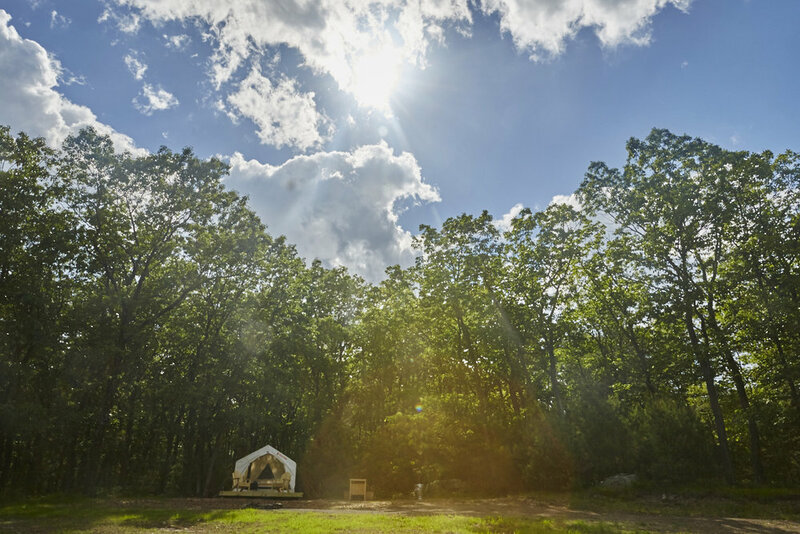 Our Wooded Site is tucked in the woods where you can still see remnants of an hold homestead's foundation behind what once was The Big Cat Exhibit in the former Zoo. This is a great site for smaller groups or families who want to feel like they are nestled in the woods. 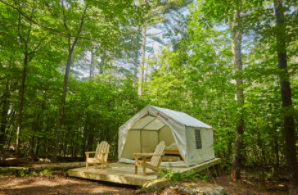 These beautiful canvas tent locations are tucked into hundreds of acres of uninhabited land giving you the perfect get away on a truly unique property. 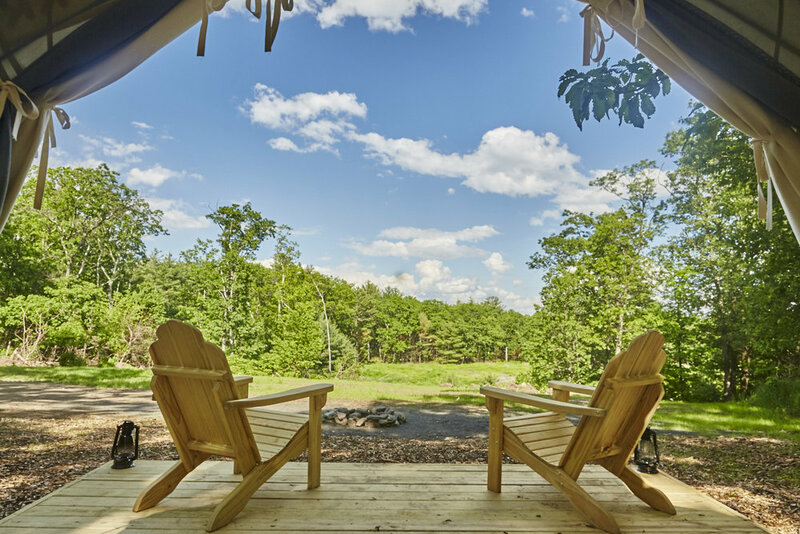 You can overlook a meadow to view wild life, walk miles of wooded trails or even explore the abandoned zoo during your stay! Each spot was chosen not only because of how peaceful it is but also because of its unique location on the property. You will be staying outside the zoo itself, submerged in nature but still accessible by car and there is plenty of space for your friends and family to join you!